Mark your calendar if you want to get a free prom outfit. 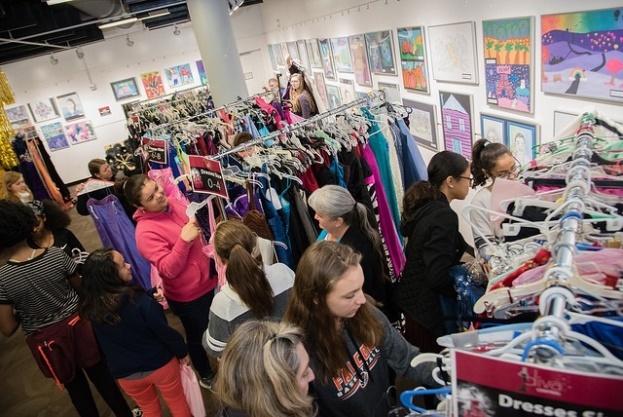 Reston-area high school and middle school students can each get a free dress, shoes, jewelry and other accessories at the Reston Community Center’s 17th annual dress giveaway next Saturday (March 30). The free shopping event will offer dresses in a range of sizes. 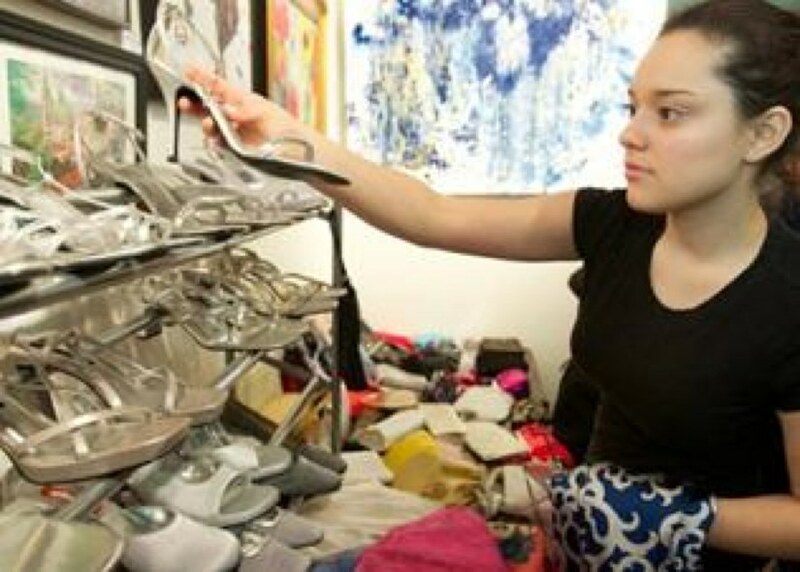 Volunteers will help teens pick out shoes, jewelry, handbags and other items to help complete their looks. “The beauty of this event is revealed in the countless special evenings enjoyed by the teens who acquire their dance attire here at no cost and thus are able to thoroughly enjoy this rite of passage,” RCC’s Executive Director Leila Gordon said in a press release. Back in February, RCC held an accessories drive — the community center already had enough dresses stockpiled away — that collected hundreds of items, according to RCC. The event takes place from 11 a.m.-3:00 p.m. at RCC Lake Anne (1609-A Washington Plaza). As teens start picking out their dresses as prom season approaches, they’ll need to start thinking about accessories too. The annual drive has amassed so many dresses in recent years that RCC says it doesn’t need to collect them for this upcoming Diva Central event. Starting Friday (Feb. 1), locals can make tax-deductible donations by dropping off items at RCC Hunters Woods or RCC Lake Anne from 9 a.m. to 9 p.m. from Mondays to Saturdays or from 9 a.m. to 8 p.m. on Sundays. Shoes, jewelry, handbags, shawls, scarves and other accessories are all desired for RCC’s prom and middle school formal dress giveaway. The drive runs until Feb. 28. Teens can save money this prom season by attending the Annual Diva Central Prom Dress Giveaway at the Reston Community Center Lake Anne. The event will be held on March 24 (Saturday) from noon until 6 p.m. The free event is open to all middle and high school students who are in need of a prom or spring formal dress and accessories. There is a limit of one dress per person. RCC opened up donations for dresses and accessories in February and received hundreds of dresses. Volunteers will be available to help teens select their perfect prom or formal look, and a makeup artist will also be available from 4 to 6 p.m.
“School dances are becoming increasingly expensive experiences for middle and high school students. We hope to lessen that financial burden by giving local teens the opportunity to create their entire prom or dance look for free,” said LaTanja Jones, RCC’s collaboration and outreach director, in a press release. C leaning out your closets? Reston Community Center may be the place for your old formal wear. RCC kicked off its 12th annual Diva Central prom dress drive last week. The organization is collecting dresses, shoes, jewelry, handbags, shawls and other accessories for students in Reston and nearby. Since 2003, Diva Central’s mission has been to promote confidence and self-esteem by providing free prom dresses to area high school girls, RCC says. RCC collects gently-used and dry-cleaned dresses and local sponsors donate gift certificates and other prom-related services to help the students create a truly memorable night. Donations are tax deductible and may be dropped off daily, 9 a.m. to 5 p.m. at at the Reston Community Center Hunters Woods facility through Friday, Feb. 7. All donations are appreciated but should be in good condition, no older than five-years-old (circa 2009), and should be dry cleaned before donation. If dry cleaning is not possible, please indicate at the time of drop-off. Dress donations will benefit students in Fairfax County and other surrounding areas. This year’s prom dress giveaway will take place on Saturday, March 8, from noon to 6:00 p.m. at RCC Lake Anne, 1609-A Washington Plaza in Reston.